It's Monday! Already....we've got windy weather in Tennessee today, it reminds me of Daytona in December. I'm feeling restless, a little out to sea, but I wrote a to do list to focus...I think this will become a daily ritual. It's already helping. I'm having an end of year sale in the Etsy shop, and other shops that will become available within the next couple of weeks. The sale runs from today until Sunday, November 27th. It's a great time to stock up on gifts (for yourself and others)! All prices have already been marked down by 15%, so no need to worry about coupon codes (yay! )~ Happy shopping! Also....I'm sponsoring a giveaway over on The New Professional Blog! Excitement! 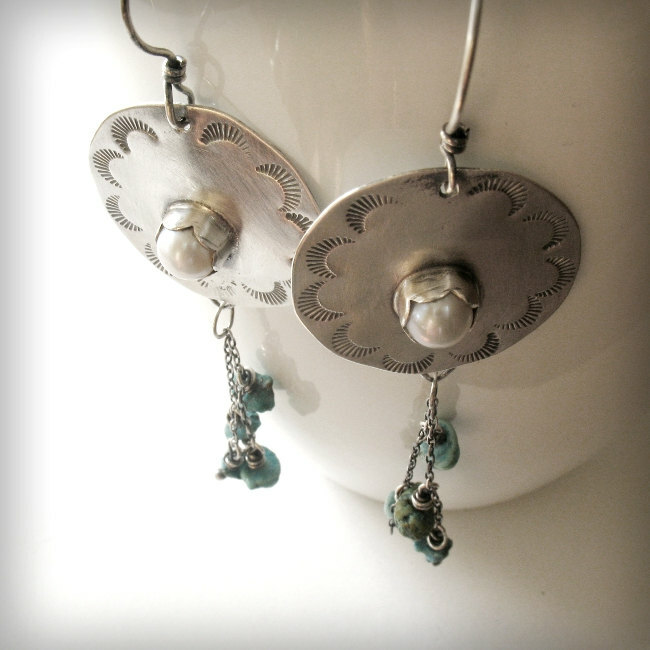 Angeline is giving away a $30 store credit for use in my Etsy store. She's a sweet lady, so head over and say hi....and enter to win! 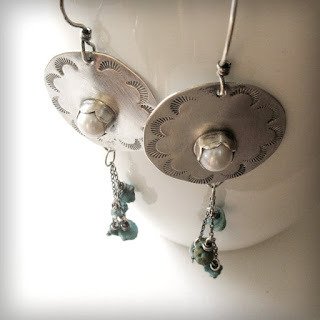 She's a Southwestern girl, with sterling, pearls, turquoise, and hand stamped embellishments. Sterling and blue quartz. She's a tempest. The loveliest kind. My love of mixed metals coming through with inspiration from the Appalachian Trail lending a hand. Here's to Monday, I hope it's wonderful for you! Gorgeous! You've been busy, good luck with your sale. Thanks to both of you awesome ladies!